Right now, this one is technically just a rumor, but it seems absurd that Microsoft would go too long without an official Outlook app for Windows RT, so we're willing to believe it even without more substantial verification. Obviously, Windows 8 users can use legacy versions of Outlook, and there will be a Modern UI version of Outlook as part of Office 2013, but Windows RT users have been left out so far. Even though Windows RT devices come with Office 2013 RT Home & Student edition, Outlook isn't part of that bundle. This means that RT users have been stuck using the built-in Mail app that Microsoft provides, which is nowhere near a full-featured mail client, and even lacks support for POP3 accounts. An official Outlook app would definitely be a boost for RT users. According to ZDNet, Microsoft is considering releasing Outlook for Windows RT, but there is a debate internally as to whether such a release would be worthwhile. It would certainly worthwhile for users, but if the estimates are correct, there may not be that many RT users, which would reduce Microsoft's willingness to put resources towards the app. Hope so, I love outlook. Why doesn't MS just email the couple guys that bought them an ask how much extra they'd cough up for it? Might as well just charge $200 flat. Also offer a trial version that keeps reminding you to upgrade every 10 minutes. Microsoft is more money hungry than Apple. Hell, the entire purpose of the gimped RT was to price discriminate. they should be! if they want RT to have decent sales! Exactly! Are they not planning to sell more RT over the next few years? After reading this article, my first impression would be not to buy a RT tablet from MS because they are not even sure if they should be supporting it. 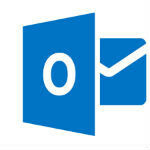 Besides Microsoft Adding OUTLOOK to Windows RT, Microsoft should also Add WINDOWS LIVE MAIL. There are Way Too Many People that use BOTH of these Programs for their E-Mail. My Mom goes through her E-Mail on a Daily Basis. When My Parents Computer Died, they were Forced to get a New Computer. When they bought it, I had set it up for them. Installing the Programs that they would Need and Setting Up their Accounts. When I Set Up My Mom's Account, she had almost 10,000 E-Mails to sort through. Some of them were Important and some were just junk, but for 1 week of Not checking Her E-Mails, 1000, is still a LOT! If I wan Not able to Install WINDOWS LIVE MAIL on her Brand New Windows 8 Computer, then My Mom's E-Mail would maybe clog Her Account eventually. I had bought a 64GB Surface RT Tablet for My Wife. My Wife likes it a LOT except for 1 Major thing. NO E-MAIL DUE TO NO POP3 SUPPORT! Now My Wife has to check Her E-Mail on Her Laptop that Now has Windows 8 because on Her Surface RT Tablet, She can't get her E-Mail due to NO POP3 SUPPORT!